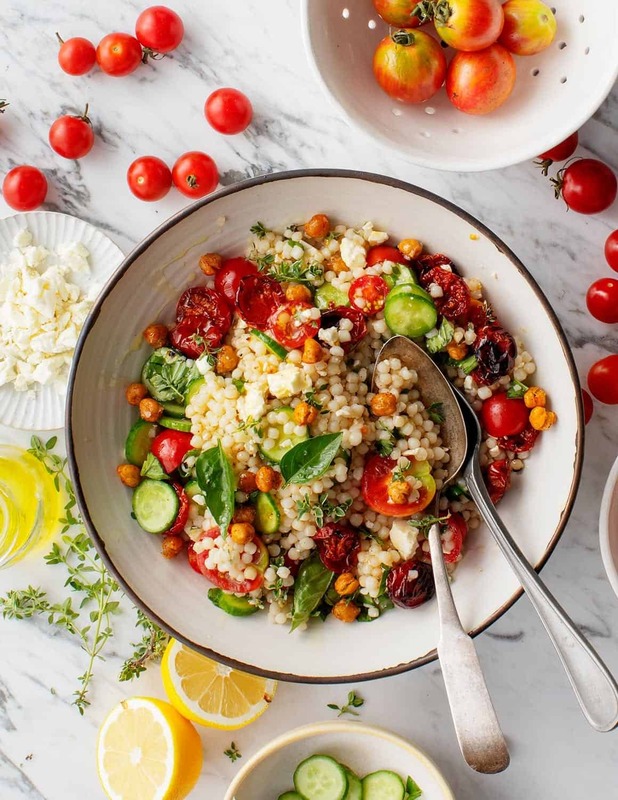 This fresh summer couscous salad is packed with raw & roasted cherry tomatoes, feta, chickpeas & herbs. Perfect for a picnic or packing for lunch! The perfect Sunday afternoon treat! 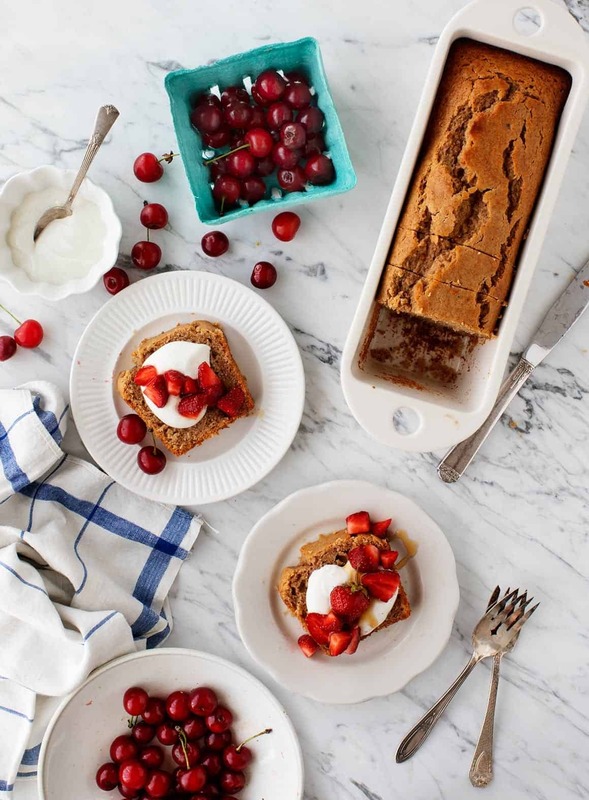 Lightly sweet & nicely spiced, this cake is moist, tangy, with a perfect cake-y quick bread crumb. Freezes well. 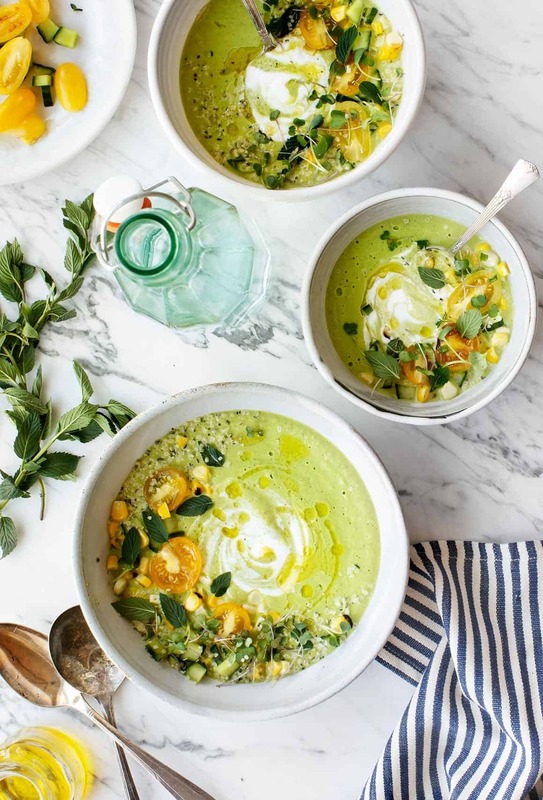 A cool soup for summer! This gazpacho, made with roasted tomatillos, garlic, cilantro and jalapeño is full of flavor and spice. 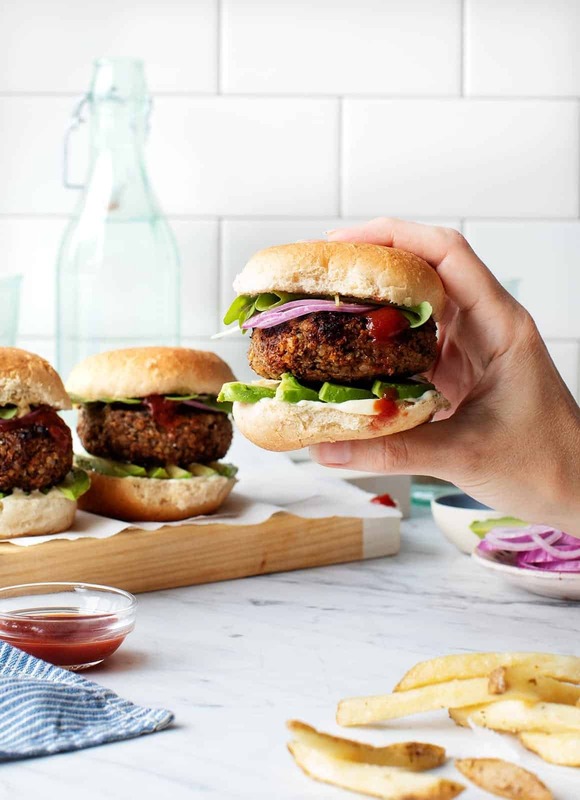 If you make one veggie burger recipe, it has to be this one. These burgers have a wonderful savory flavor and hearty texture. They're grillable, too! 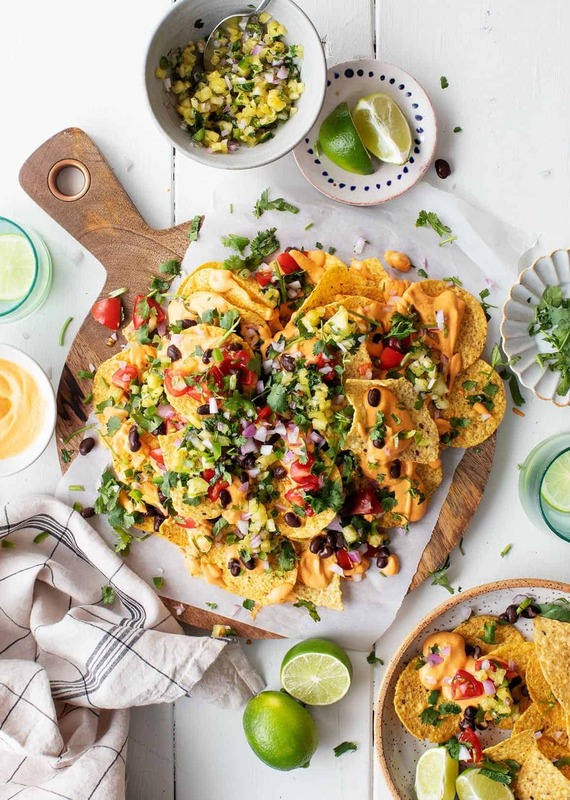 The ULTIMATE vegan nachos, these are loaded with smoky cauliflower "cheese" sauce, sweet pineapple salsa, black beans, cilantro, and tomato.